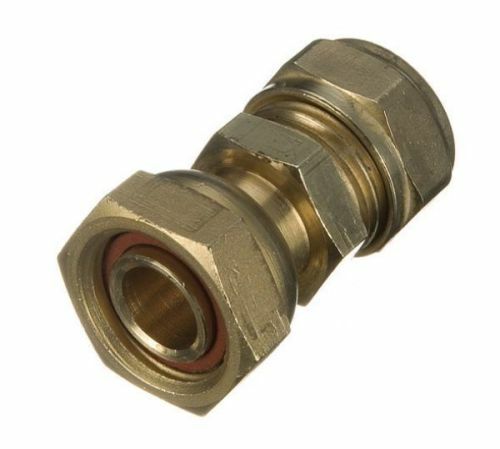 Brass 15mm x 1/2 inch BSP compression tap connector fitting. Compression plumbing fittings do not require heat or solder. The joint is formed by tightening a nut and compressing the olive (included with fitting) onto a copper or plastic pipe, which forms the seal. 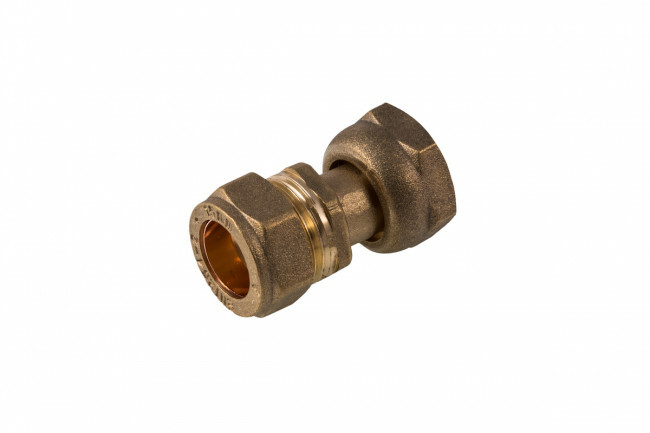 They can be used on wet pipework, and are suitable for hot and cold systems.